Son of a Dunfermline hand-loom linen-weaver, Carnegie emigrated to USA in 1848 when the linen trade was in one of its periodic troughs. He initially joined a relative who was already in Pennsylvania (and who probably sent back stories of the opportunities in North America). Carnegie got a job in a textile firm as a bobbin boy but eventually became a clerk in the Pennsylvania Railroad Company. With hard work, talent, luck - and a streak of ruthlessness - he worked his way up the company to the to become head of the firm. He exploited the concept of the railway sleeping car but made his first million dollars (by the time he was 30) by shrewd purchases of stock at low prices and selling at a vast profit. He moved into the iron industry and during the Civil War (1861-1865) he expanded the railways, using iron for bridges instead of wood. Investments in oil followed, then his first steelworks in 1867 (one of the first in America). In the 1880s he was the leading iron and steel producer in the country. His reputation was damaged, however, when one of his partners ruthlessly put down a strike at one of his mills with armed Pinkerton agents in the depression of 1892. But by 1900, having decided that "The man who dies rich dies in disgrace" he sold out to the United States Steel Corporation and set about distributing his vast fortune. He set up 2,500 libraries in Britain and North America and all four of the older Scottish universities received bequests, as did Carnegie Mellon University. His home town of Dunfermline was not forgotten either ("the most sacred spot to me on earth"). 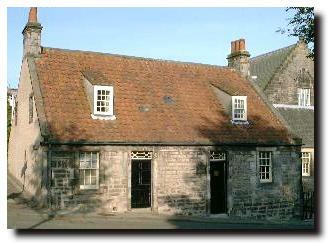 Among other endowments, Pittencrieff House and gardens were bought for the city. It is said that, as a child, Carnegie had been ejected from the gardens by the then owner. Carnegie was a small man (5 feet 1 inch in height) and he did not marry until 1887, after the death of his mother. His only child was born when he was over 60. In 1897 he bought a 30,000 acre estate in Sutherland and built Skibo Castle there, entertaining the rich and famous. He had a love of gadgets - including a bath which rotated from the bathroom into his bedroom. When demonstrating this on one occasion his unfortunate wife was still in the bath! 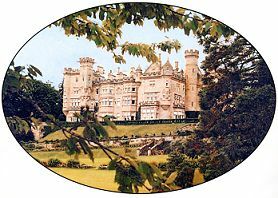 The illustration here of the castle is courtesy of the Carnegie Club at Skibo Castle. The picture was originally taken by Mrs Andrew Carnegie. By the time he died in Massachusetts in 1919, he had made bequests amounting to over $350 million during his lifetime.